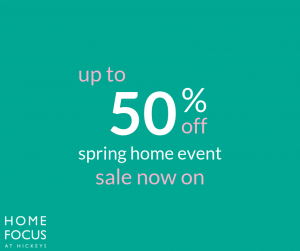 The Spring Home Event is now on at Home Focus at Hickeys at Mahon Point Retail Park. 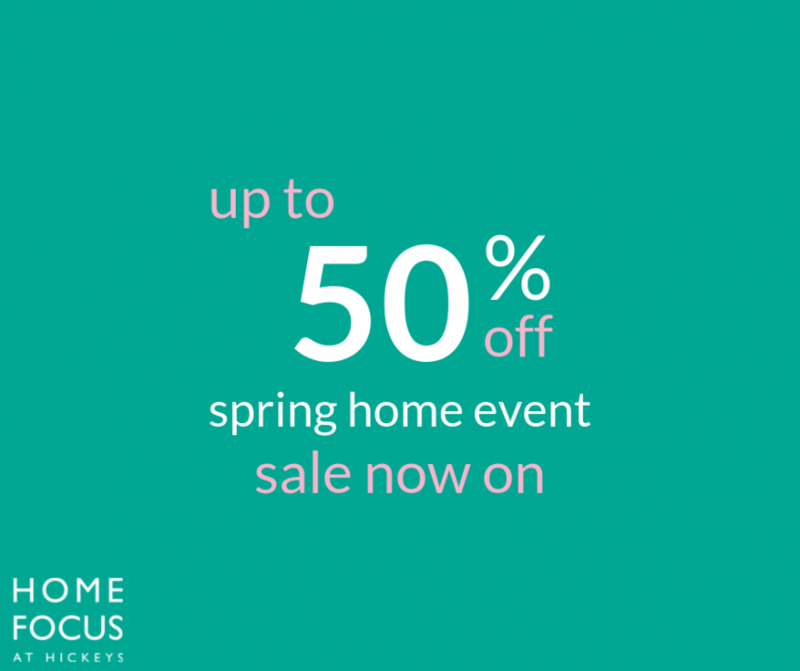 – Enjoy up to 50% off selected Curtains and Bedding and 20% off All Furnishing Fabrics, Poles and Blinds. 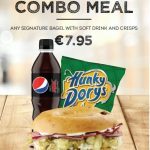 – Shop in store today!